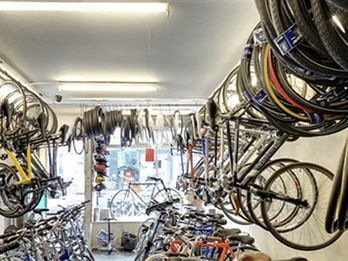 Station Bicycles is the well-reputed and trusted name in the field of second hand bicycles in london and supply of New bicycles and second hand bicycles. All bicycles will be sold with one month free service and guarantee (excluding punctures, tyres, wheel true, suspension forks and hydraulic brakes) and two weeks exchange. All of our bicycles are completely serviced and test ridden before selling and any defective parts has been changed with similar parts or upgraded. This guarantee does not include labour, transportation charges and any loss of work. We get second hand bicycles through auctions from various places and provides complete service to these bicycles. We turn these bicycles as new with excellent quality of service and give them another chance to old bicycles with new life. The company employs huge number of experts, who perform duties in professional manner and to utmost satisfaction of buyers. We offer bicycles to buyers after all necessary requirements including servicing of gears, hubs, cables, tyres, tubes and brakes. All the parts of bicycles, which declared worn out or damaged, replaced with new one. At the time of sale of bicycle, we clean, oil and grease them to give new life to second hand bicycle. The services of these second hand bicycles will ensure buyers to trust on the service quality and the professionalism of the experts and technical staff of the company. Station Bicycles offers vast range of accessories for its valued and respected buyers. Fine quality of accessories are included with saddles, helmets, multi tools, lights, bells, grips, pumps, locks, pannier bags, baskets, mudguards, carriers and parts. 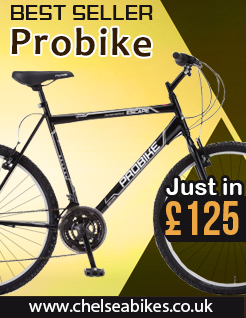 We also deal in vast range of bicycles like BMX, mountain bikes, racers, kids and road bikes. We announce for the availability of various brands of bicycles such as Falcon, Viking, Raleigh, Tiger, Carrera, Condor, Kona, Giant, Claudbutler, Probike, Dawes, Trek and many more. Station Bicycles has strong commitment with its cause to provide second hand bicycles to its buyers as new one and they can rely on the quality of the spare parts and the service standard. 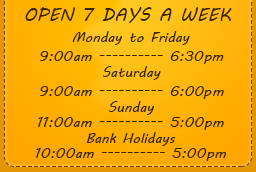 The buyers will be welcomed at our repair and service centers in Walthamstow with whole heartedly and they will enjoy good quality of repair and service.